If you look closely at a Champagne label, you’ll see a couple of initials on the bottom by the address: usually you’ll see NM, but ideally you’ll see, RM. Negociant-Manipulant (NM) is what all of the big brands are, i.e., Veuve Cliquot, Moet and Chandon, Laurent-Perrier, etc. These companies buy grapes from farmers all over the region, mix them together, and make reasonably tasty bubbly wine from them. A Récoltant-Manipulant (RM) wine, on the other hand, is made by the farmer who grew the grapes. An estate wine, if you will, that has been made from start to finish — vineyard to cellar — at the same place and by the same people. When buying high-end Cabernets or Pinots, consumers demand that the fruit come from the estate, but applying the same idea to Champagne is novel, perhaps because most people don’t even think of Champagne as wine, but as a different beverage entirely. This is a mistake. It is wine, and one of the best kinds, in my opinion. RM wines are usually referred to as “grower-Champagnes” or “farmer-fizz” to differentiate them from the big factory-made versions. What I like about grower-Champagnes, and estate-made wines in general, is that they are distinctive, honest, and expressive of the vineyard. The large brands of Champagne are major marketing machines, while farmer-fizz is just made and sold by a guy or a family. That’s not to say these wines are necessarily less expensive, because Champagne is expensive wine to produce no matter what. But with grower-Champagnes, the entry-level wine is much higher quality than its brand name equivalent, and instead rival the top tier wines from those companies. 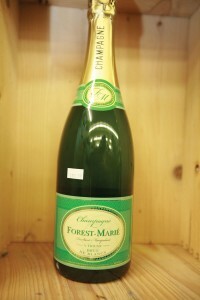 Forest-Marié is based in Trigny, a humble village in the northwest of Champagne. Thierry Forest makes authentic wines that have developed a following in France, and his Blanc de Blancs is a good example of why. With its spicy apple fruit and baking brioche aromas, each sniff inspires another sip. I’m always surprised that people still use the word “champagne” as a generic term for all sparkling wine. Not because I expect everyone to know what I know about wine, but because the Champagne industry has launched a very aggressive marketing campaign to highlight the difference. Champagne is a sparkling wine that comes from the region of Champagne in northeastern France. 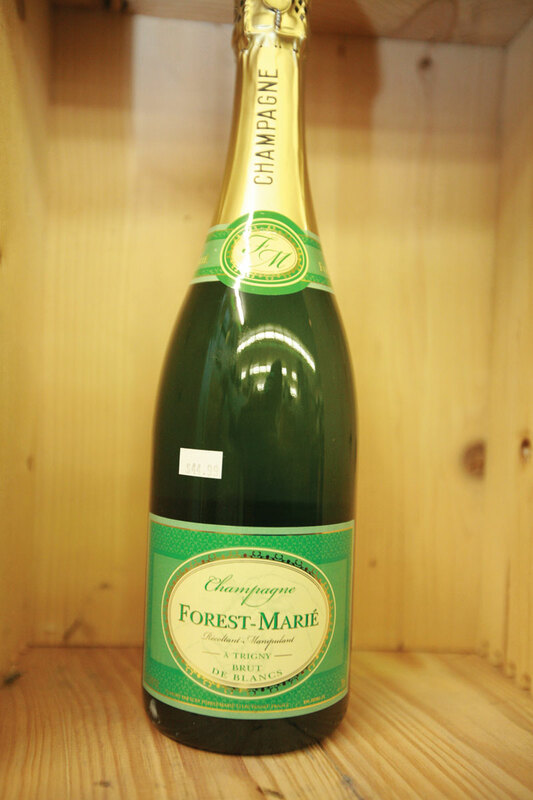 Other types of sparkling wine are made all over France, be it Cremant de Loire from the Loire Valley, Cremant de Limoux from the Rhone Valley, or Cremant de Bourgogne from Burgundy. Almost all other French sparkling wines are made using the champagne methode, or methode traditionelle, but they never taste like Champagne. They do their own thing. Cremant de Bourgogne can come close, in part because unlike the Rhone and Loire valleys, Burgundy grows the same main grape varieties as Champagne: Chardonnay and Pinot Noir. 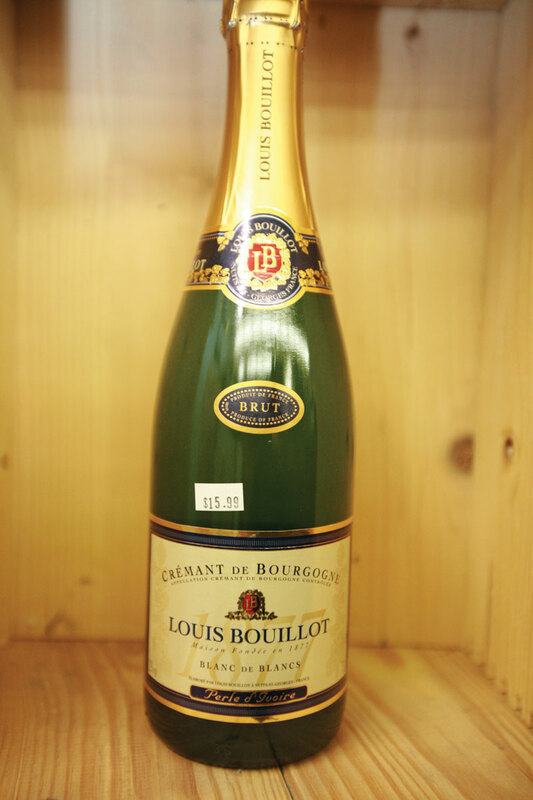 Louis Bouillot’s Blanc de Blancs is made entirely of Chardonnay; and like the wine reviewed above, it has apple notes with a hint of yeast; but it doesn’t have the same level of sophistication or intrigue. And that’s okay, in part because you pay $30 less for it, and in part because not every wine needs to be intriquing. Sometimes you need something to toast your friends with, sometimes you need something bubbly to eat fried chicken with. 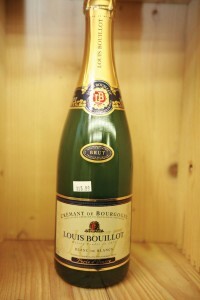 Tried the Louis Bouillot, it was wonderful. I hear MM goes to online only (no paper) this month. Will continue to follow your picks.